In the first two parts of this series, I discussed the staggering number of geriatric pets not visiting their primary care clinic and offered suggestions to help families caring for these animals—but how do we go about getting these grey muzzles into door so that we can help them? Families are not bringing their geriatric pets to the veterinarian for two main reasons: First, families do not have the knowledge of the ailments or symptoms of aging, including chronic illnesses. Second, families are anticipating a discussion they don’t want to have, which might include being told their pet is old and nothing can be done, suggesting euthanasia and the owners know it isn’t time, or a complete workup that could mean hundreds (or even thousands) of dollars of diagnostics when they just want their old pet to be comfortable near the end. I’m not saying to not suggest or perform diagnostics; rather, let’s get fearful owners into the clinic first and then gain their trust so we can make the best recommendations. Lack of education or simple awareness of issues conspire to keep clients away for all aspects of veterinary medicine. The area of our industry that offers the least amount of information for clients pertains specifically to geriatric pets. Families are bombarded with puppy/kitten vaccine and preventive management information from the moment they walk into your clinic. But they receive no information about problems associated with old age. 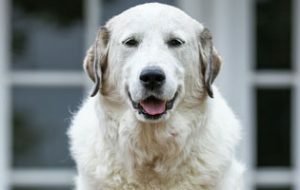 If anything, all they ever hear is “old age is not a disease.” Limited information on senior pets may be available, but as I have highlighted earlier in this series, seniors are very different from geriatric pets. The author and her dog, Duncan. There is nothing more annoying to a cat owner than finding only dog-centric content. Separate all the above topics by species, as symptoms and management differ greatly. Also be sure to talk about early and late symptoms for each, and discuss symptom management—both medically and environmentally. Be sure to temper your information. These families are concerned they will be upsold unnecessary procedures or medications. Once you focus on the main issue—management—and offer real solutions, owners will be more trusting when the time comes for suggesting diagnostics or medications. As 70 percent or more of your geriatric pets are not even walking in your door, how will you share the content you create with your clients and make them aware of the issues and the services you can provide? Develop tactics to distribute your content via different methods. Newsletters: Clinic newsletters should include articles about the weak and wobbly. Each month, focus on one particular ailment or disease, but make sure there are calls to action and links to your webpage with more information. Blogs and vlogs: Bravo to those clinics that already blog and/or vlog. Dedicate at least 30 percent of those to geriatric issues. Paid ads: Geriatrics comprise the largest segment of the pet population. Spend some of your vaccine ad money on “gray muzzle” ads. I guarantee you will be competing with fewer clinics for that segment. Social media: Dedicate posts to geriatric pets on all your social media outlets. Those pictures, tips, and education information will be some of your most viewed shared posts. Outbound marketing and a sales funnel: Why not call, email, and/or push newsletters to a specific segment of your database? Segment your patients by age and species. Start with a simple email or newsletter focused solely on aging and owning a geriatric pet. In that newsletter, include links to “Learn more about <insert disease or ailment>”. This can push them into different sales funnels, another newsletter chain, your blog, or an article on your website (see bit.ly/2K38A0X for an example). Make your second newsletter more specific and targeted. Your practice management software may be able to segment by weight, breed, or even ailment. Make a best guess if you don’t have sophisticated tracking. For example, dogs heavier than 40 pounds probably have mobility issues. Owners of dogs weighing more than 60 pounds will struggle to manage their companions more. Cats older than 12 years of age are probably going to see changes in urination. Labradors older than 10 could be experiencing the start of laryngeal paralysis. Promotions: Start a gray muzzle promotion that includes a complimentary nail trim, a sanitary shave, or even a free consultation. 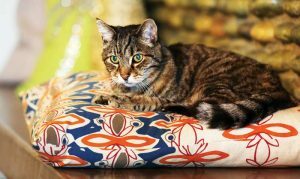 Host an open house just for the families of geriatric pets (with or without the pet). This is a great opportunity for education and to show off your clinic. Geriatric handouts: For those families that do make it into your clinic, provide geriatric informational packages. Most clinics offer puppy/kitten packages, but nothing for geriatrics. Owners will pore over it like a steamy novel. Changes in your clinic: Let everyone who enters your clinic know you cater to geriatric pets. Feature a “gray muzzle parking spot” that everyone knows is for sweet oldies. Offer specialized boarding for this age group that features daily texts/pictures and personalized service (owners are very worried about leaving their geriatric pet in anyone’s care), including yoga mats or bathmats in the rooms, etc. Educate your staff: This doesn’t fall specifically into marketing, but it is worth mentioning, as you need to start with the awareness of your staff. Establish policies and standards that are specific to geriatric pets. Holding techniques, anesthesia procedures/monitoring, in-patient care, venipuncture, etc., all are different with this group. Everyone in the clinic should know the differences of an advanced aged body and the processes in place to care for them. Readers of this series may wonder why a veterinarian who co-owns a company that exclusively performs end-of-life care would spend so much time on geriatrics. Contrary to popular belief, my job does not sadden me. I love helping families with a peaceful transition—it’s a humbling experience and one that I love offering. At Lap of Love, we help 50,000 families a year—35,000 of those families could have been helped with some form of medication or management before I or my colleagues entered the picture (months before they ever call us), and that breaks my heart. When I enter a home and I see the suffering—the pet’s and the family’s—I feel we have failed them all. I know these owners love their pets—they just weren’t aware of what they could have done differently. My purpose in veterinary medicine is to educate veterinarians, clinic staff, and pet owners about fragile advanced-age pets and to make their lives better during their golden years. use your content there in smaller bits for your ads, posts, blogs, and newsletters. I hope this series will spur more clinics to focus on geriatric pets. The return on investment will come in many ways. Increased revenue is an important one, but your staff will love it and you will develop more committed clients that will stay with your clinic for years. 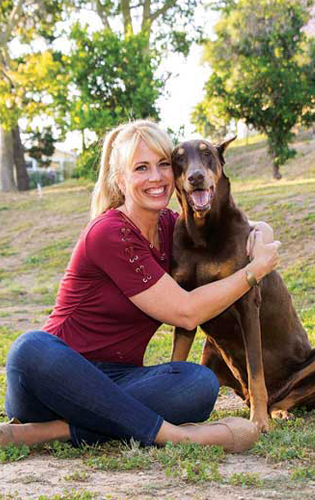 Mary Gardner, DVM, is co-founder of Lap of Love Veterinary Hospice. Visit lapoflove.com/About-Us/Who-We-Are or drmarygardner.com for more.